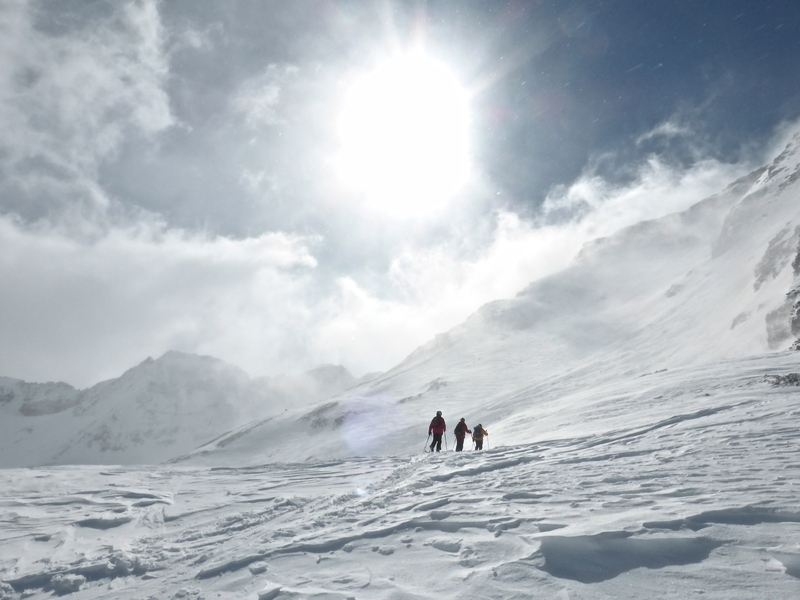 We were knee-deep in powder, sometimes almost up to the waist, and the tips of our skis occasionally blasted big chunks of snow over our heads. We knew there would be fresh stuff up in the Iseran area after yesterday’s near-uninterrupted snow falls, but that much snow, well, this was an unexpected treat. 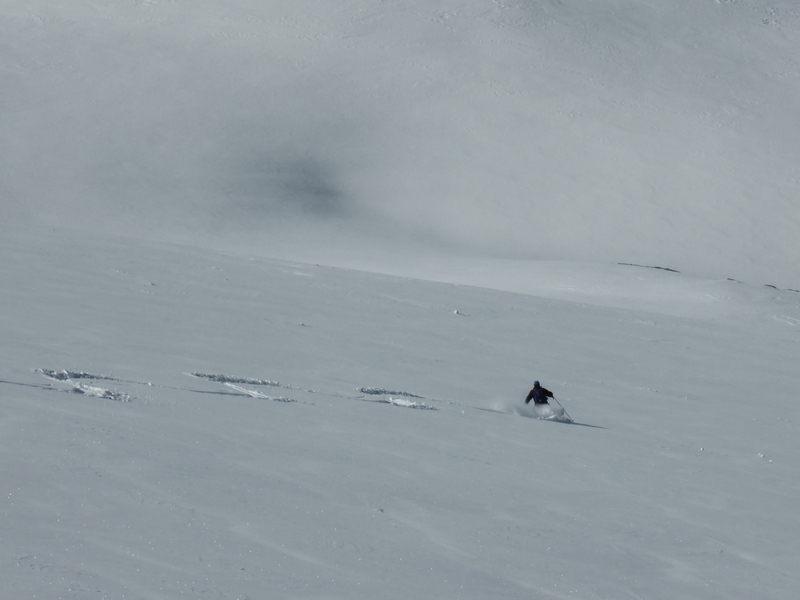 Of course we weren’t the only ones eager to taste the powder, so the drill this morning was to keep moving. This meant fewer photo opportunities, as Chris ushered us around to make first tracks down the Combe du Signal, followed by three runs down Pays Désert and finally across to the Col Pers. It was already busy around Pers by that point but Chris miraculously produced some untracked expanses down the Grand Torsai area, just above the gorges de Malpasset. Last week’s snow falls seem a long time ago but there is still some powder to be had if you’re prepared to get up early and break a bit of sweat on skins. 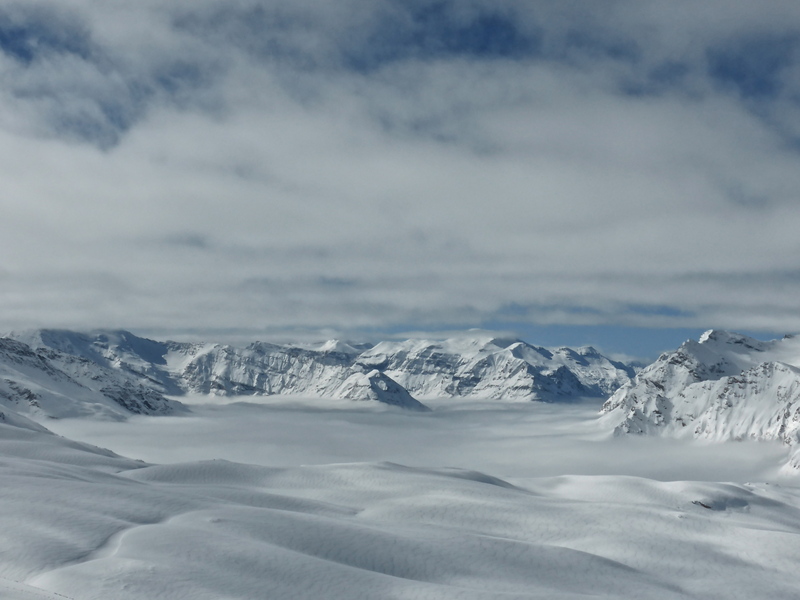 This morning, Chris took us to the further reaches of the Pays Desert before hiking over to the Col Pers and across to the Lechoir for some fantastic skiing.